We’re constantly looking for the next da Vinci. Athletes are often described as the next Jordan, Ali or Comaneci. New entrepreneurs are often seen as the next Jobs. Who will be the next Seinfeld, Spielberg, Lennon or Pavarotti? And the next Churchill or Gandhi would surely be handy in a time of significant crisis. But what if there was no next? What if there was only you and I and the people around us? 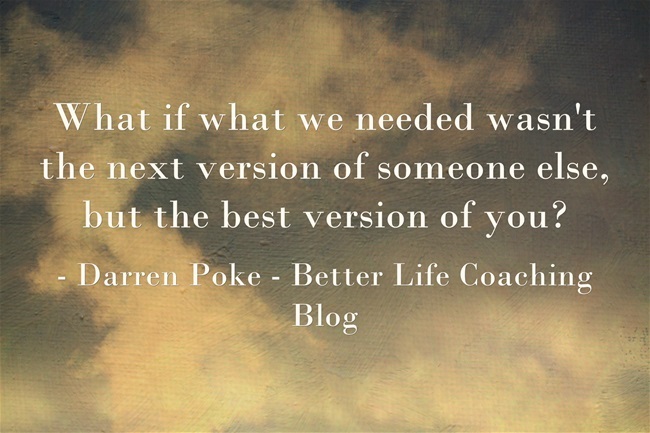 What if what we needed wasn’t the next version of someone else, but the best version of you? What if that was enough to inspire others, bring great joy and make the world a better place? Next post – Are You an Alchemist?